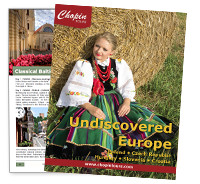 An outstanding program, ideal for those who have never visited Portugal. A complete journey that will take you from city to city, visiting the most important historical sites. Land tour starts in Porto on September 13 at the hotel. If arrival / departure times do not coincide with rest of the group, transfers to / from airport may be arranged at additional cost. Arrival at Porto airport. If you are arriving with the group you will be transferred to our hotel with a brief panoramic tour of the city enroute. If you are arriving at a different time transfers to the hotel can be arranged at an additional cost. After checking in to our hotel the afternoon is at your leisure. In the evening you are invited to our Welcome dinner. in the historical centre of the city it is one of the city's oldest monuments and one of the most important Romanesque monuments in Portugal. Very close by is one of the world's most beautiful train stations, the São Bento Station, which has a beautiful entrance hall covered with twenty thousand pictorial tiles (azulejos) which depict the history of Portugal. Across the river from Porto is Vila Nova de Gaia, the hub of the port wine industry. We will get there by cable car, so please make sure to have your cameras ready for some excellent photo opportunities. We will visit a Port wine cellar for a tour and tasting of this famous wine. Lunch at a typical local restaurant in Porto. The rest of the afternoon is at your leisure allowing you to explore Porto further as you wish. After breakfast we leave Porto and drive to Barcelos, the Portuguese capital of craftsmanship and home to the “Barcelos Rooster” a colourful symbol of Portugal. Continue to Braga, the "Rome" of Portugal to admire the outstanding architecture of the "Bom Jesus do Monte" Sanctuary with its spectacular stairway. Next stop is the historic town of Guimarães (UNESCO), often referred to as the birthplace of Portugal. Visit the Palace of the Dukes of Braganca and then drive to the Duoro Valley for dinner and overnight. Today we drive across the Douro to discover the wonderful Douro Valley (UNESCO). Stop at Lamego for a visit to a wine lodge "Quinta" for lunch and wine tasting. In the afternoon we invite you for a two hour cruise along the most beautiful landscapes of the Douro Valley between Régua e Pinhão. Evening is at your leisure. Departure to Coimbra, home of Portugal’s oldest university. The city is dominated by the Old University, which was founded in 1290 making it one of the oldest universities in Europe. We visit the University and then have some free time to discover the historical city centre and walk along the Mondego’s riverside. In the afternoon we drive to Fatima, one of the most important catholic shrines in the world dedicated to the Virgin Mary. Fatima’s Sanctuary welcomes millions of pilgrims and tourists from all over the world. Fatima’s fame is due to the Apparitions of Our Lady of the Rosary that appeared to three shepherd children; Lucia and her two younger cousins, Francisco and Jacinta. Between May and October of 1917, the three children witnessed several apparitions. The last one, on October 13th, was confirmed by a miracle witnessed by 60,000 people known in the Catholic world as “the day the sun danced”. Dinner and overnight in Fatima. From Fatima we cross the world’s largest cork region for an exciting journey into the past. Evora, the capital of Alentejo has been designated a World Heritage Site by UNESCO since 1986. The streets and buildings virtually unchanged over the centuries. You will see the Temple of Diana, the Cathedral (exterior visit). Stop for a walk at “Giraldo Plaza” and visit the São Francisco Church and the Bones Chapel. We will also take you to a local wine producer for a visit and wine tasting. Continue to Evora for dinner and overnight. Departure to Ferreira do Alentejo to discover another main attraction of the region: the production of olive oil. Visit an olive grove and learn about the different stages of olive oil production with a tasting included. We continue to Beja, the second largest city of Alentejo. We start with the castle and its imposing dungeon "torre de menagem" and then free time for lunch and to stroll in the city and discover its Manueline style buildings. Continue to the unspoilt, traditional Algarve village "Alte" with its narrow streets filled with cafés and bars and then our final destination today of Quarteira to check in to our hotel and enjoy dinner. Breakfast at the hotel. Today is at your leisure to relax or explore. Make sure you try one of the local seafood restaurants tonight. Breakfast at the hotel before we start towards Sintra, our first stop will be in Almada where visit sanctuary of Christ the King (lift for the tower not included) modeled on the Monument of Christ the Redeemer in Rio de Janeiro. We continue to the medieval village of Sintra (UNESCO). Visit the enchanted Pena Palace, which stands on one of the rocky peaks of the Serra de Sintra, and blends in with its natural background of greenery and crags. We can't leave Sintra village without tasting the local gastronomic speciality: “queijada” in one of the most ancient and famous pastry shop. Free time for lunch before we continue towards Cabo Da Roca which is the westernmost point of Continental Europe. It used to be a symbol of hope for those who once sailed away in search of new worlds. Roca Cape integrates the Sintra Cascais Natural Park. It is also named as “Roca mug” or, more poetically, as Promontory of the Moon by the locals. Finally discover the “Sunny Riviera Coast" and its beaches (Cascais & Estoril). We will stop at the cosmopolitan and colourful Bay of Cascais, a traditional fishing village and also a lively resort with bars, nightclubs, delightful ice cream shops, stores and restaurants. Check in to our hotel. Dinner. Today we discover Lisbon, one of the oldest cities in Europe and once the westernmost cities in the known world. Highlights today will include the riverside suburb of Belém, Hieronymus Monastery, Belém Tower, built between 1515 and 1519. We will also see the Discoveries Monument which represents a three-sailed ship ready to depart, with sculptures of important historical figures and several other notable Portuguese explorers, crusaders, monks, cartographers, and cosmographers. Coffee break with a tasting of the pastry speciality: “Pastel de Belém”, a sweet delicacy you simply must try. A brief stop at the Mercado da Ribeira (also known as Mercado 24 de Julho) is Lisbon's main food market since 1892, also a fantastic place to eat. Lunch in the local restaurant. In the afternoon you will discover a typical district of Lisbon - Alfama (the oldest district of the capital) - with its steep hills and narrow streets, medieval alleys and whitewashed houses with tile panels and wrought-iron balconies adorned with pots of flowers. From there you will have a magnificent panoramic view of Lisbon. 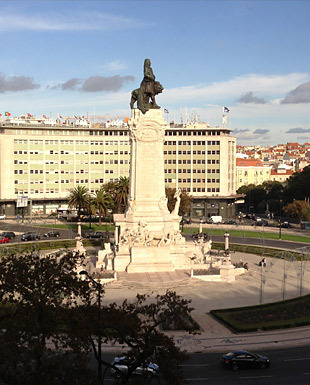 Finally we will go in the downtown area and centre of business: Rossio and the Praça do Comércio. Arrive hotel and then the rest of the day is at your leisure. The day is yours to explore Lisbon at your leisure. In the evening we meet for our farewell dinner featuring traditional Portugese dishes as well as the expressive and melancholic music of Fado, the song of the Portuguese Soul declared by UNESCO as a World's Intangible Cultural Heritage. Late evening return to the hotel or stay out to enjoy your last evening in Lisbon! After breakfast transfer to Lisbon airport. End of tour.